Titanium is known as a transition metal on the periodic table of elements denoted by the symbol Ti. It is a lightweight, silver-gray material with an atomic number of 22 and an atomic weight of 47.90. It has a density of 4510 kg/m 3 , which is somewhere between the densities of aluminum and stainless steel. It has a melting point of roughly 3,032°F (1,667°C) and a boiling point of 5,948°F (3,287 C). It behaves chemically similar to zirconium and silicon. It has excellent corrosion resistance and a high strength to weight ratio. Titanium as a useful metal alloy was not commonly used until the late 1940s. It is most often alloyed with molybdenum, manganese, iron, and aluminum. By weight titanium is one of the strongest readily available metals, making it ideal for wide range of practical applications. It is 45% lighter than steel with comparable strength, and twice as strong as aluminum while being only 60% heavier. Titanium is a metal present in meteorites and in the sun. It is also the ninth-most abundant metal in the crust of the Earth and occurs in the minerals rutile, ilmenite sphene, titanates and iron ores. In1946, William J. Kroll showed that titanium could be produced commercially. In commercial use, titanium alloys are used anywhere strength and weight are an issue. Bicycle frames, automobile and plane parts, and structural pieces are some common examples. In medical use titanium pins are used because of their non-reactive nature when contacting bone and flesh. Many surgical instruments, as well as body piercings are made of titanium for this reason as well. Titanium is suggested for use in desalinization plants because of its strong resistance to corrosion from sea water (particularly when coated with platinum). Many ships use titanium for moving components constantly exposed to sea water, such as propellers and rigging. Titanium is used in the production of human implants because it has good compatibility with the human body. One of the most notable recent uses of titanium is in artificial hearts first implanted in a human in 2001. Other uses of titanium are in hip replacements, pacemakers, defibrillators, and elbow and hip joints. Finally, titanium materials are used in the production of numerous consumer products. 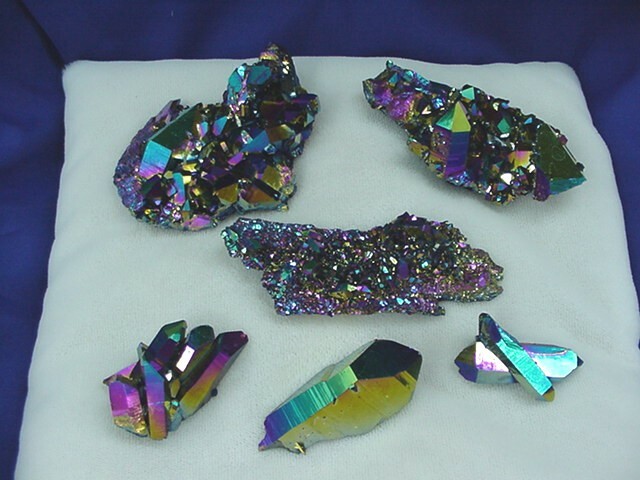 It is used in the manufacture of such things as shoes, jewelry, computers, sporting equipment, watches, and sculptures. As titanium dioxide, it is used as a white pigment in plastic, paper, and paint. It is even used as a white food coloring and as a sunscreen in cosmetic products. Titanium is obtained from various ores that occur naturally on the earth. 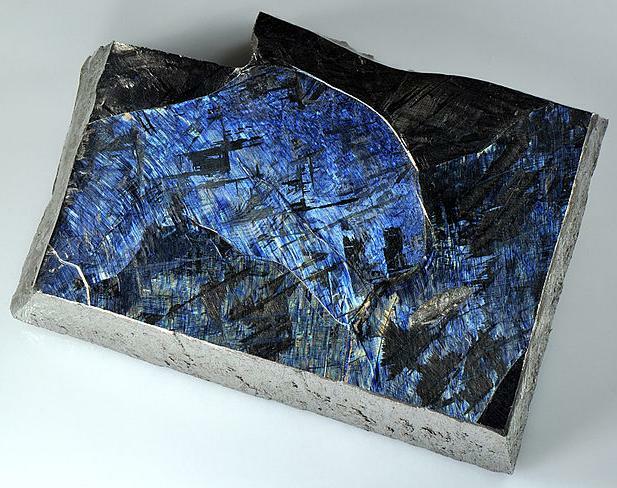 The primary ores used for titanium production include ilmenite, leucoxene, and rutile. Other notable sources include anatase, perovskite, and sphene. Ilmenite and leucoxene are titaniferous ores. Ilmenite (FeTiO3) contains approximately 53% titanium dioxide. Concepts of Ti production by Mg reduction. (a) Kroll process, (b) TiCl4 gas feed through the molten salt, and (c) combined process with TiCl4 gas feed for Ti2+ formation and metallic Ti formation from its molten salt. Leucoxene has a similar composition but has about 90% titanium dioxide. They are found associated with hard rock deposits or in beaches and alluvial sands. Rutile is relatively pure titanium dioxide (TiO2). Anatase is another form of crystalline titanium dioxide and has just recently become a significant commercial source of titanium. They are both found primarily in beach and sand deposits. 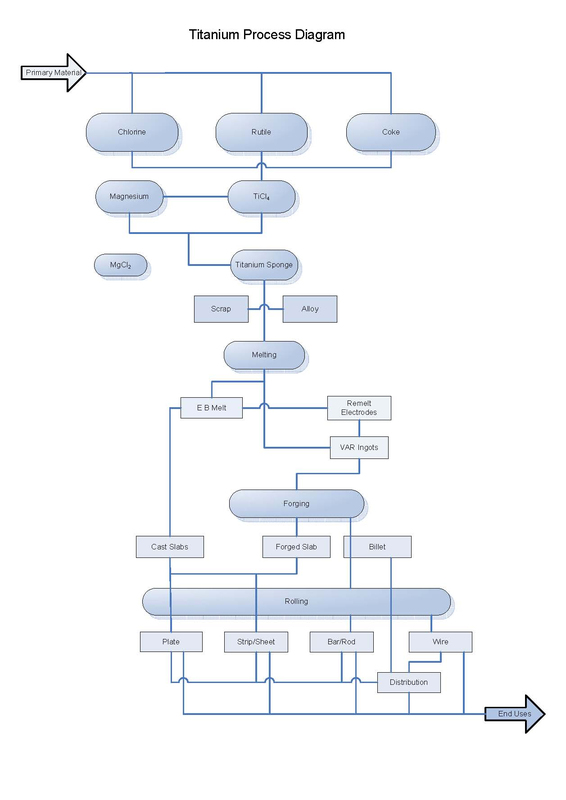 A conceptual process of continuous Ti production. 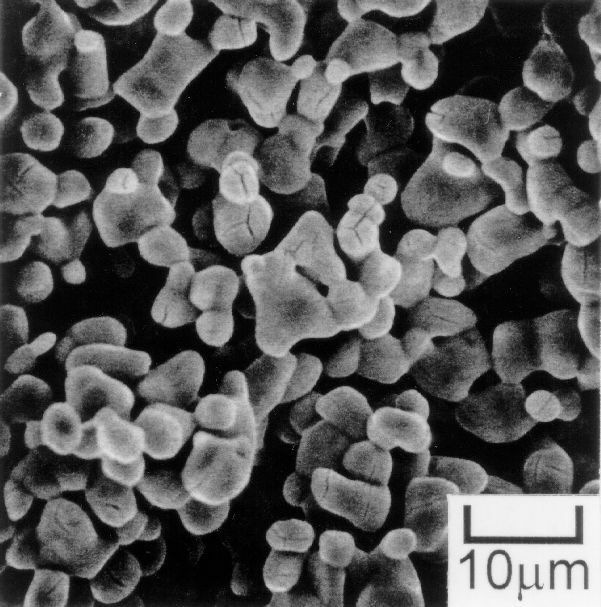 The Ti particles precipitate at the surface of TiCl4 bubbles, grow in the Mg layer, and sink downward through the molten salt. Perovskite (CaTiO3) and sphene (CaTi-SiO5) are calcium and titanium ores. Neither of these materials are used in the commercial production of titanium because of the difficulty in removing the calcium. In the future, it is likely that perovskite may be used commercially because it contains nearly 60% titanium dioxide and only has calcium as an impurity. Sphene has silicon as a second impurity that makes it even more difficult to isolate the titanium. Titanium is produced using the Kroll process. The steps involved include extraction, purification, sponge production, alloy creation, and forming and shaping. In the United States, many manufacturers specialize in different phases of this production. For example, there are manufacturers that just make the sponge, others that only melt and create the alloy, and still others that produce the final products. 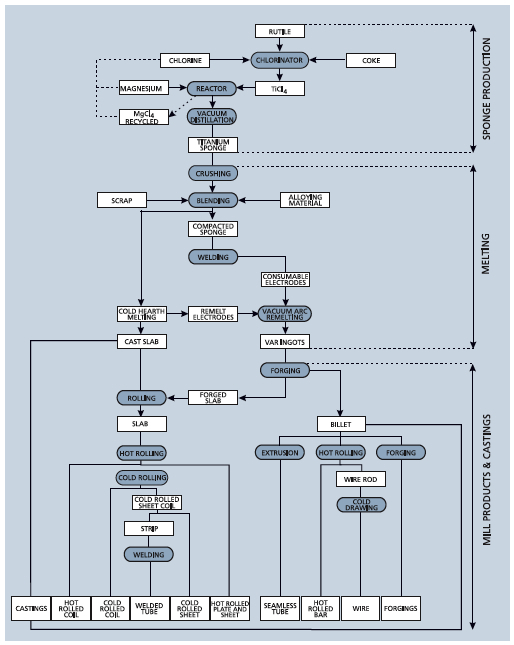 Currently, no single manufacturer completes all of these steps. At the start of production, the manufacturer receives titanium concentrates from mines. While rutile can be used in its natural form, ilmenite is processed to remove the iron so that it contains at least 85% titanium dioxide. These materials are put in a fluidized-bed reactor along with chlorine gas and carbon. The material is heated to 1,652°F (900°C) and the subsequent chemical reaction results in the creation of impure titanium tetrachloride (TiCl4) and carbon monoxide. Impurities are a result of the fact that pure titanium dioxide is not used at the start. Therefore the various unwanted metal chlorides that are produced must be removed. The reacted metal is put into large distillation tanks and heated. During this step, the impurities are separated using fractional distillation and precipitation. This action removes metal chlorides including those of iron, vanadium, zirconium, silicon, and magnesium. Next, the purified titanium tetrachloride is transferred as a liquid to a stainless steel reactor vessel. Magnesium is then added and the container is heated to about 2,012°F (1,100°C). Argon is pumped into the container so that air will be removed and contamination with oxygen or nitrogen is prevented. The magnesium reacts with the chlorine producing liquid magnesium chloride. This leaves pure titanium solid since the melting point of titanium is higher than that of the reaction. The titanium solid is removed from the reactor by boring and then treated with water and hydrochloric acid to remove excess magnesium and magnesium chloride. The resulting solid is a porous metal called a sponge. The pure titanium sponge can then be converted into a usable alloy via a consumable-electrode arc furnace. At this point, the sponge is mixed with the various alloy additions and scrap metal. The exact proportion of sponge to alloy material is formulated in a lab prior to production. This mass is then pressed into compacts and welded together, forming a sponge electrode. The sponge electrode is then placed in a vacuum arc furnace for melting. In this water-cooled, copper container, an electric arc is used to melt the sponge electrode to form an ingot. All of the air in the container is either removed (forming a vacuum) or the atmosphere is filled with argon to prevent contamination. Typically, the ingot is remelted one or two more times to produce a commercially acceptable ingot. In the United States, most ingots produced by this method weigh about 9,000 lb (4,082 kg) and are 30 in (76.2 cm) in diameter. After an ingot is made, it is removed from the furnace and inspected for defects. The surface can be conditioned as required for the customer. The ingot can then be shipped to a finished goods manufacturer where it can be milled and fabricated into various products. During the production of pure titanium a significant amount of magnesium chloride is produced. This material is recycled in a recycling cell immediately after it is produced. The recycling cell first separates out the magnesium metal then the chlorine gas is collected. Both of these components are reused in the production of titanium. Copyright © 1996-2010 Metallurgy for Dummies. All rights reserved.